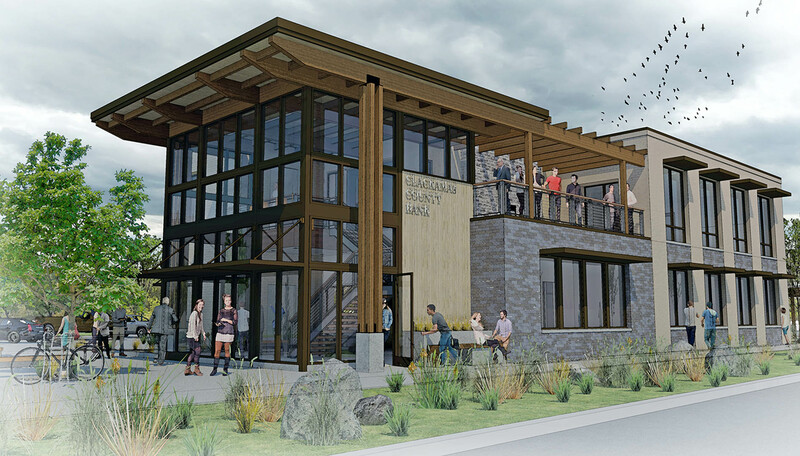 Clackamas County Bank is opening a new branch in Gresham in Fall 2019. The wood framed building includes branch services on the first floor, and a community room, offices and balcony on second. The two-story storefront entry floods the lobby with natural light, and contrasting brick siding and wood trellises gives this bank a modern look.